He's the best in the business; the man who needs no introduction. He's the GOAT, or the Greatest Of All Time.With this hoodie, you can keep your drink cold and your hands warm all at the same time. The koozie pocket also closes with velcro so it's another great option for safe storage of your phone, keys or wallet. 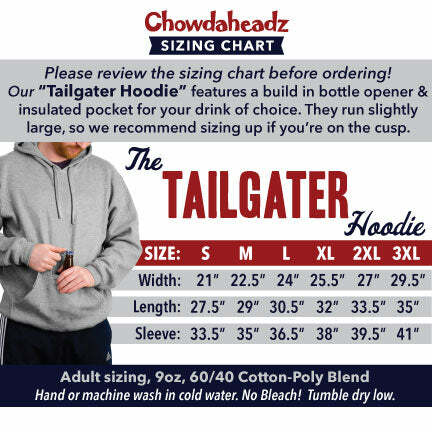 A terrific option for any tailgate or outdoor party.